MacDonald Highlands community has been called the “Beverly Hills of Las Vegas” for their beautiful and spacious mountain homes that oversee the valley. Secluded and safe with guarded and gated entrances, the tree lined streets center around the DragonRidge Country Club where beautiful green grass on the golf course and twinkling lakes reside. And who knows, you may be moving in next door to a celebrity. Las Vegas is a permanent home or at the very least, a vacation home for several celebrities including Celine Dion, Britney Spears, Andre Agassi, Nicolas Cage, Criss Angel, and Penn and Teller to name a few. 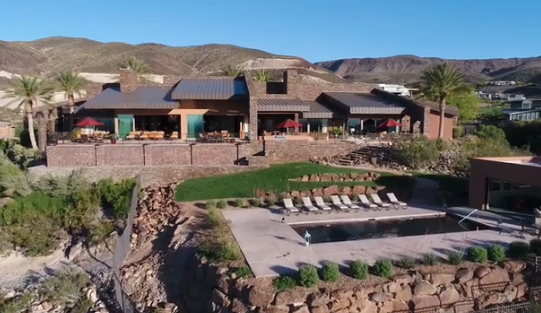 While we can’t guarantee you’ll be living next to your favorite athlete or actor, in a luxury neighborhood like MacDonald Highlands, there’s a good chance that if celebrities are looking for the best real estate in Las Vegas, MacDonald Highlands is where they are purchasing homes and lots. The Highlands are home to multiple corporate executives, real estate developers, professional athletes, actors and actresses, real estate executives, philanthropists, and politicians.MacDonald Highlands offers a luxury lifestyle not only for celebrities but anyone desiring the best of the best in Las Vegas real estate. MacDonald Highlands is located in Henderson, Nevada and has homes and lots available for customizing your dream home. Ranging in size and price, there are several options to fit your needs and lifestyle. With A-List amenities like the Country Club’s golf, tennis and fitness centers, and privacy and safety with their gated communities, MacDonald Highlands luxury community allows you to enjoy the best of life with some of the most prestigious people in our culture. If you are interested in creating a life of luxury for yourself, contact the office of Kristen Routh-Silberman by calling 702-614-9100 today.